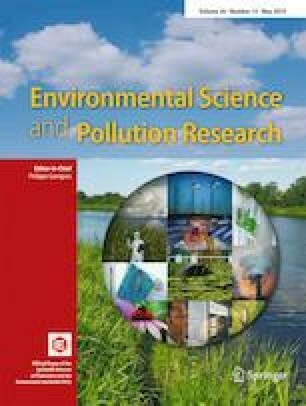 Methylmercury (MeHg) is a well-known environmental pollutant associated with neurological and developmental deficits in animals and humans. However, epidemiological data showed that people living in the Amazon region although exposed to MeHg do not present these effects probably due to the protective effect of certain foods. We hypothesized here if guarana, a highly caffeinated fruit and consumed on a daily basis by Amazon people, could have some protective effect against MeHg toxicity using two complementary approaches. To assess locomotor impairment and sleep disruption, we used fruit fly (Drosophila melanogaster) model, and to evaluate neuroinflammation, we used human SH-SY5Y neural cells by measuring inflammatory cytokines levels. Results showed that guarana had a protective effect on the locomotor activity of male fruit flies reducing the excessive sleepiness caused by MeHg and increasing daily activity. Also, guarana increased the viability of flies and attenuated neural cells mortality. In addition, guarana reduced all pro-inflammatory cytokines levels increased by MeHg, along with caspase-1, caspase -3, caspase-8, and 8-dOHG levels, whereas increased the anti-inflammatory (IL-10) cytokine levels, which was decreased by MeHg. Our study provides new insights on the protective effects of guarana on the viability, locomotor activity, sleep, and activity patterns in vivo and the in vitro neuronal anti-inflammatory effect against MeHg toxicity. The authors would like to thank the Laboratory of Cellular Genetics/Japan team (Felipe and Lucas) and the Laboratory of Biogenomics/Brazil team (Cibele, Fernanda, Moisés, and Verônica) for support and technical assistance. Also, we gratefully acknowledge the financial support provided by Brazilian and Japanese agencies. This study was supported by grants and funds from the following sources: the National Council for Scientific and Technological Development (CNPq) # 490760/2013-9, the Brazilian Federal Agency for Graduate Education (CAPES), the Japan Science and Technology Agency (JST) and the Japan Agency for Medical Research and Development (AMED) - JST/AMED - # JP16jm0310022. Funding sources had no role in study design, in the collection, analysis, and interpretation of the data, in the writing of the manuscript, and in the decision for publication.